This season we are taking a new vineyard on board. The plan is to make wine with friends to learn from each other, spend time together and see how far we get with the quality of the end wine. Our main objective is to make an outstanding wine of the highest quality. 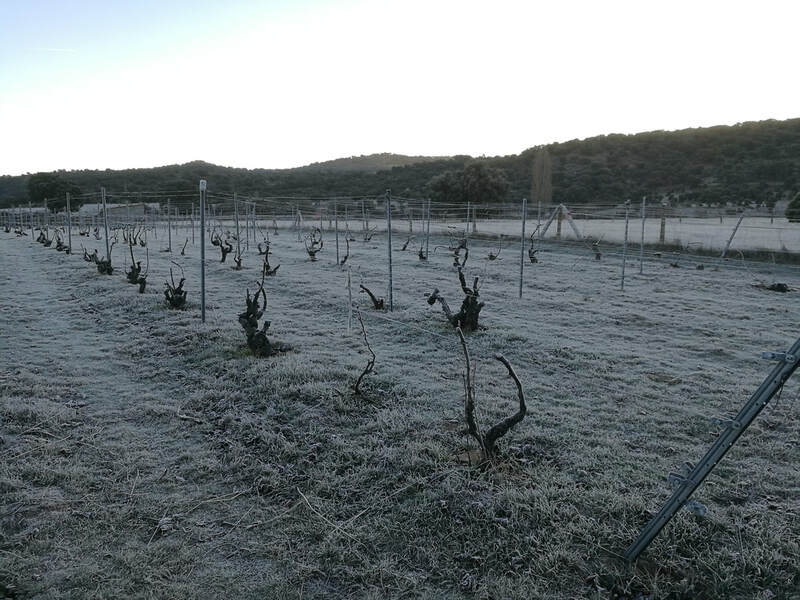 In the Gredos area there are plenty of neglected vineyards (as well as olive groves). Young generations see winemaking (and/or olive oil making) as old-fashioned and hard work. Whilst it might not be very profitable in money terms, the quality of the end product plus the satisfaction of making it yourself more than compensates for the effort. Additionally, modern techniques reduce the work required in the vineyard. Green covers spare the need of tilling (which is demanding) whilst keeping moisture in the soil and improving soil quality... Making your own treatments (i.e: nettle or horsetail ferments) protect the vines from viruses and fungus at zero cost. The new vineyard we are taking on has plenty of potential, vines are 30-40 years old on a sun facing slope with wide diurnal range. The vineyard however has challenges, namely phylloxera (see picture). Either the vines are ungrafted and therefore prone to phylloxera or the soil has covered the European part of the vine and phylloxera is attacking the plant. Either way some vines have died, some are dying and need treatment asap. With that in mind, started pruning during the holiday season in December/January (when the temperatures went down below zero) and completed it in early March (with much kinder weather). As the vineyard was unmanned over the last few years overgrown grass/plants cover the vineyard and make it difficult to work/walk around. Over the next few months once the spring rains are over, will trim the grass so that the soil keeps as much moisture as possible whilst making it easier to work/walk around. It will also allow to treat phylloxera, viruses and fungal infections so that the vines can work at full strength. 2018 is our fifth harvest, things have changed a little in those years as we learn, get more comfortable, improve and expand. Vine and grape quality has improved dramatically since only “biodynamic plus” techniques are used. 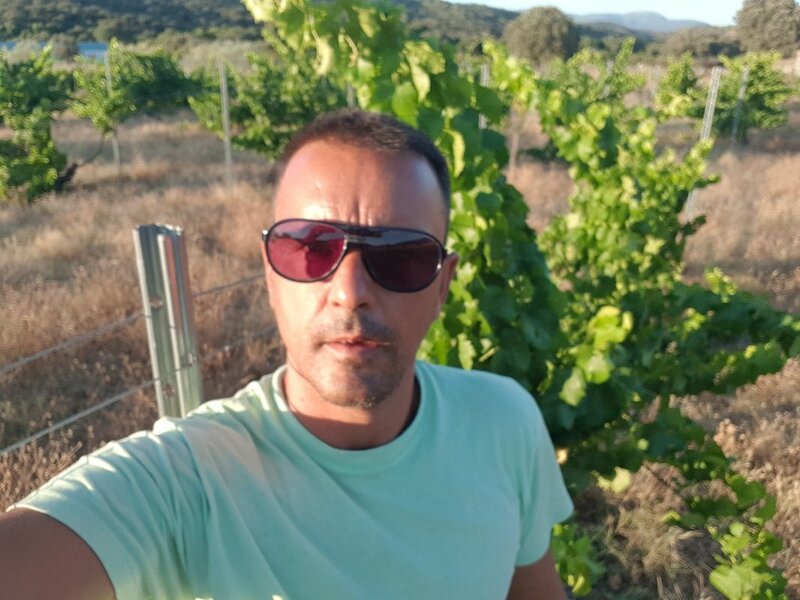 We had excessive rain into May/June creating a period of high humidity which brought fungal infections to the vines (oidium) and fruit trees (taphrina). The vines did well given the damp circumstances, green pruning and horsetail ferment spraying helped. Horsetail ferment spaying early in the season is now a must as is green pruning to pre-select bunches and increase both airflow and quality. The red grapes were selected/sorted and left to dry on wooden planks in a dry environment. 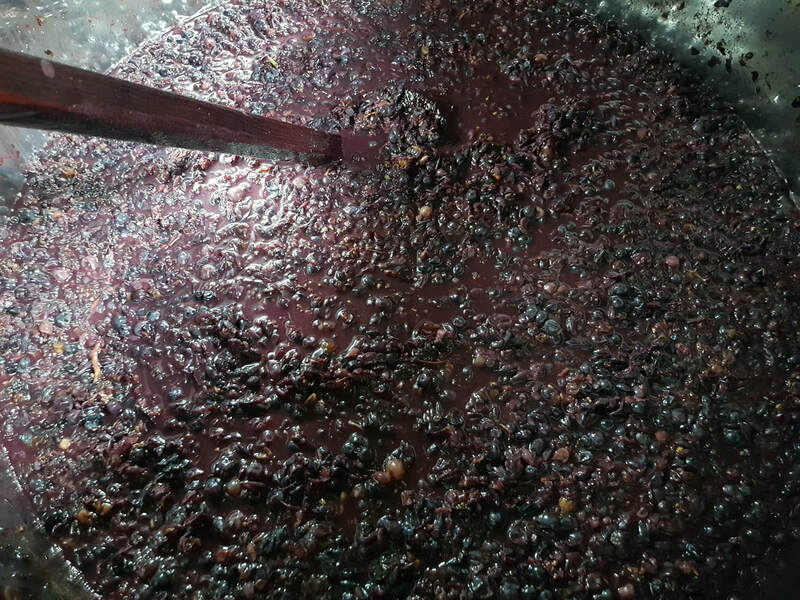 The plan is to experiment producing a Garnacha raisin-based red wine over the Christmas/New Year’s period. Cold soak or pre-fermentation maceration. The wine is kept in an aqueous liquid at low temperature (10C) to avoid both fermentation and spoilage. The period can be between a few and as much as 20 days. The aim is to achieve less harshness and higher colour extraction, i.e: extraction of anthocyanins pre-alcohol from skins and stems. This technique is consistent with the changes that take place during fermentation. During the first 5-7 days phenolic extraction comes mainly from skins and stems. After the seed coat cuticle is dissolved by alcohol extraction from the seeds (which harsher tannins) takes over. To recap colour is obtained mostly during the first few days (anthocyanins) hence why cap management is critical. Battonage consists on pushing down the gross lees which float to the top of the tank/container to maximise colour and skin/stem extraction and it´s therefore critical for those first 5-7 days. Cold soak gives a head start to achieving maximum extraction of phenolics including colour from skins and stems. Wine at this point would reach its maximum colour, from here on anthocyanins and tannins react (polymerise) and form polymers. In colour terms, the wine moves from its strongest point of red/blue/black towards the brown/orange that comes with wine aging. 5 years of biodynamics "plus"
It is now five years since we took over the vineyard. We moved from old fashion tilling onto biodynamics, i.e: an integrated way of looking after the environment including no pesticides or any artificial products. The vines have turned around dramatically and are no longer diseased. With their immune system as full strength, they are back in form. The soil is also much healthier, retains water for longer (key with very hot summers) and has a much healthier mix of biodiversity. During spring this year came across "Ceratophyus martinezi" in two separate instances. A very rare species of a very beautiful bettle. As far as i know there are no records of it in the Toledo province. They seem attracted to the horsetail fermentation container... Had to rescue one from drowning. Beautiful and harmless, took it out by hand and left it on a safe place. Up close they are extremely beautiful, they look black at first yet display incredible shades of dark blue. Electric. During our last visit in June came across a separate bettle species, equally beautiful. Orange over black spells danger in quite an intuitive feeling. And lastly during that same visit we came across vipera aspis. Have come across snake skins over the years, a common sight in the area. This time however it was the real thing. Very calm and beautiful, sunbathing under a vine.